Mobility in Motion is a service-focused mobility vendor offering services and home medical supplies for people with mobility challenges. We help people to re-access their world, to get into and out of their home, to get to the mall or grocery store and back to living. 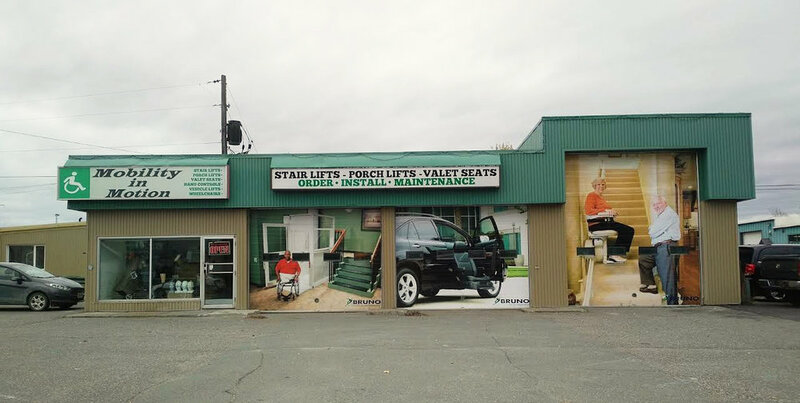 We have showrooms in Cambridge, Guelph, Goderich, Owen Sound, North Bay, New Liskeard and Kirkland Lake to best serve our clientele within the Huron-Perth, Waterloo-Wellington, Grey-Bruce, Nippissing, and Temiskaming. Our representatives specialize in all areas of mobility; we strive to be the best provider of home medical equipment around. We also offer home and vehicle accessibility solutions, respiratory therapy as well as home oxygen and CPAP products. Whether you are looking for something as simple as a reacher or a stocking aid—or need your home fully modified, we are the service and support you need to maximize your level of comfort. Learn What a Lift Chair Can Do for You! They look like regular recliners, but lift chairs do so much more! Mobility scooters can help you live your life again. Safely and easily haul your scooter from location to location. Aging in Place; living Life on you own terms. These are not just words. Let us show you how your home can remain your home. With the right mix of home adaptations, the right transportation options, and the right home care assistance, you can live where you want to live, for as long as you decide to do so. 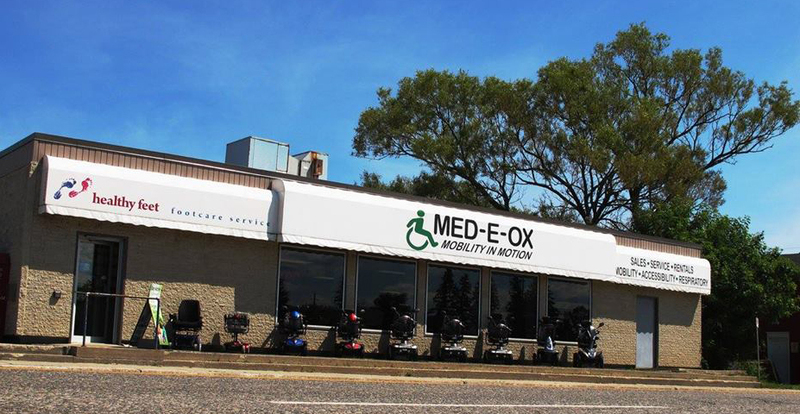 We are a fully accredited vendor for the Ontario Ministry of Health/Assistive Devices Program, Department of Veterans Affairs and March of Dimes Canada. We also work with the President's Choice Children's Charity, Easter Seals and the Ontario Renovates funding program.